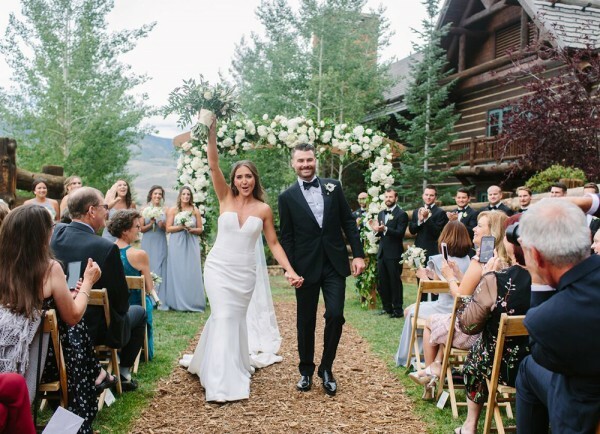 Hotel Talisa: This Vail hotel just opened in late 2017, and we’ve already done multiple weddings at this fabulous new nook in Vail. It’s modern atmosphere, complimentary happy hour of champs and hot chocolate, beautiful outdoor patio, and it’s exclusive location make it a favorite of our clients! They have a ballroom reception option or they have a permanent tent which is our favorite option (we have more creative freedom with a tent!). Spruce Mountain Ranch: A classic in Colorado, but one of the best just the same! 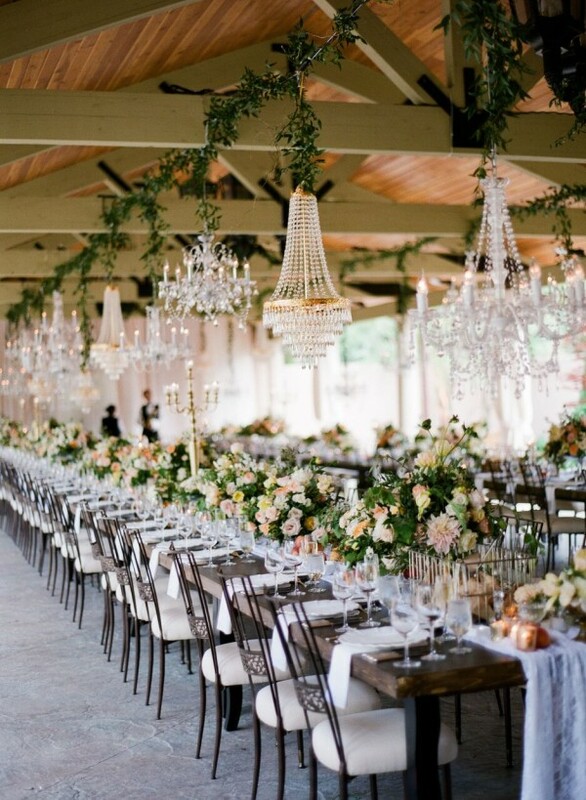 We love both the upper ranch and lower ranch, and although it has more of a rustic atmosphere, we have had many of our “classic” clients book it so we can work our magic and transform it! The acres of beautiful scenery and the fact that it can accommodate a large guest count is a huge seller! The Tenth: The experience of riding a gondola seems mundane to us Colorado natives, but for most guests coming from afar, it is a real treat and fun experience. The Tenth is our favorite on-mountain venue. It’s beautiful ceremony deck has amazing views of the mountains, and its elegant indoor setting has huge windows that make you feel like you’re sitting amongst the stars. Four Seasons Vail: The Four Seasons in Vail is by far one of our favorite Four Seasons locations. Their service is really what people love so much about the Four Seasons. 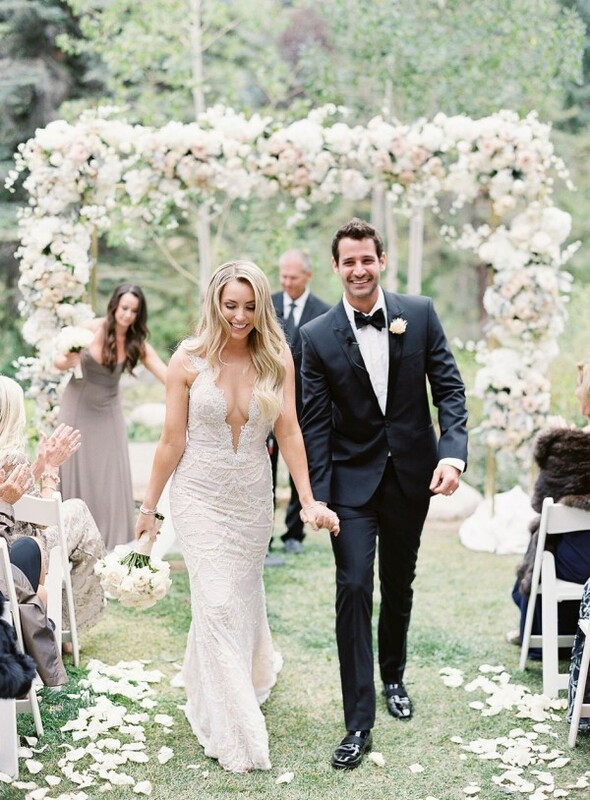 For your ceremony, you can get married on the pool deck (where I’m sure you’ve seen pictures of the runway over the pool) or many of our clients opt to get married at the Vail Chapel – just a five minute walk away from the ballroom and foyer. 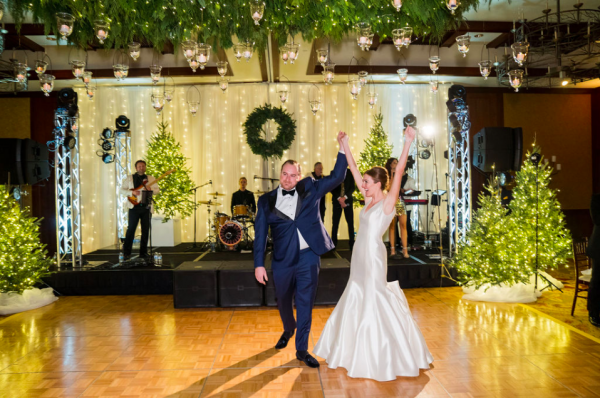 Four Seasons Denver: Any client that wants a formal ballroom wedding in Denver, the Four Seasons Denver is the first (and sometimes only) place we send them! Their ballroom has some of the most beautiful chandeliers we have ever seen in a ballroom, which is basically what sells their space! Ritz-Carlton Bachelor’s Gulch: The RC Bachelor’s Gulch gives you that “resort” feel where you could go there for a weekend and never have to leave the hotel! Their ceremony bridge with a permanent arch is so charming, and their pool terrace is perfect for a casual pool party the day before or after the wedding! Their team is one of the best and most accommodating we have worked with as well! Park Hyatt Beaver Creek: The Park Hyatt is the perfect hotel for a modern client. Its ballroom has beautiful windows and it can hold up to 400 people! Perfect for a large guest count. Devil’s Thumb Ranch: This place has the entire package for your guests – horseback riding, yoga classes, skiing in winter, hiking, a wonderful pool area, and even more activities are available for your guests to enjoy! Not to mention their fabulous food, coffee shop, and spa! They have two reception spaces, and High-Lonesome Lodge is our favorite! It’s large windows overlooking the entire ranch really sell the space, and the tipi structure for the ceremony is iconic. Winter, summer, fall, or spring – this resort is a great location! St. Regis Aspen: The gorgeous courtyard is what most of our clients fall in love with at the St. Regis in Aspen. 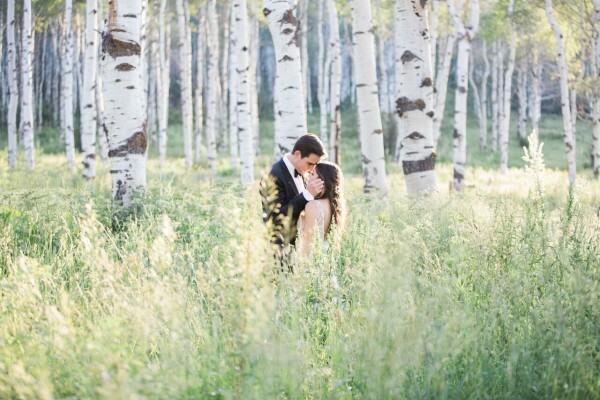 This high end hotel is perfect for a high-end Aspen wedding. 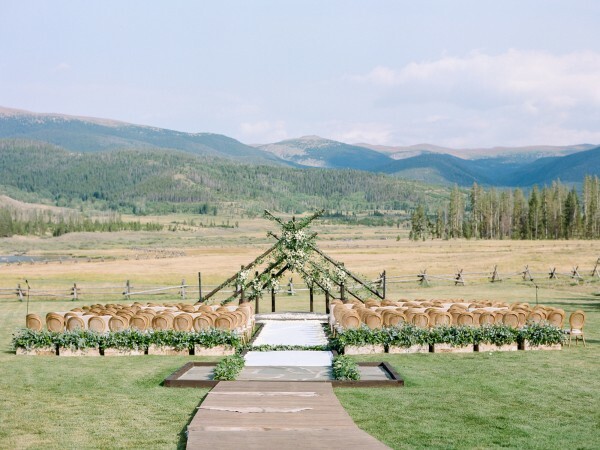 The Little Nell: The view that makes Aspen weddings so coveted (and for good reason)! 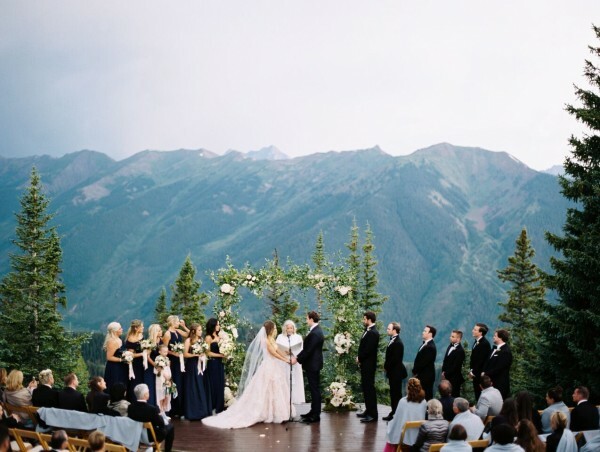 Head up the gondola for this beautiful wedding deck ceremony, and a reception on top of the mountain! Don’t forget those breakfast burritos on the way down the gondola at the end of the night! The Broadmoor: Want to stay at one resort all weekend? This is THE place for you. They have everything you could ever need (I mean come on they even have their own bowling alley) and there is so much history at this resort. 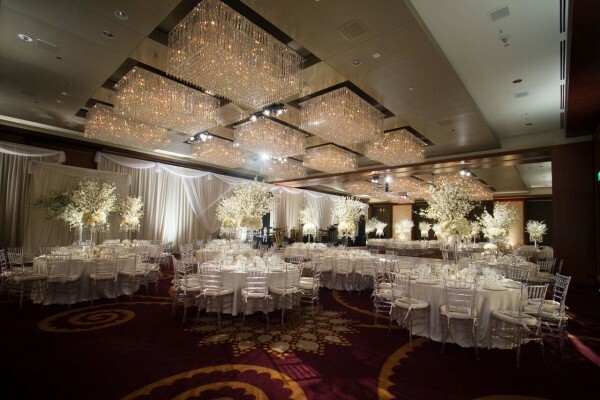 They can accommodate large or small guest counts, and have many different reception and ceremony options. St. Julien Boulder: Many CU graduates choose the St. Julien for their wedding venue! A charming garden ceremony location, with a ballroom reception. This venue is perfect for the client that has Boulder roots and wants a charming wedding in the midst of downtown Boulder. St. Vrain: This is such a unique space! Located in Longmont, most guests stay in Boulder and shuttle from there. This venue has exposed brick walls with custom art touches, luxurious lounge furniture included in the rental, and two floors that create many options for the flow of your event! Beano’s Cabin: A magical spot! Beano’s cabin is located halfway up the mountain and will take your breath away in the winter months especially. You actually ride a sleigh up the mountain! The Beaver Creek Chapel is a popular spot to have your ceremony, and then head up the mountain for your reception. 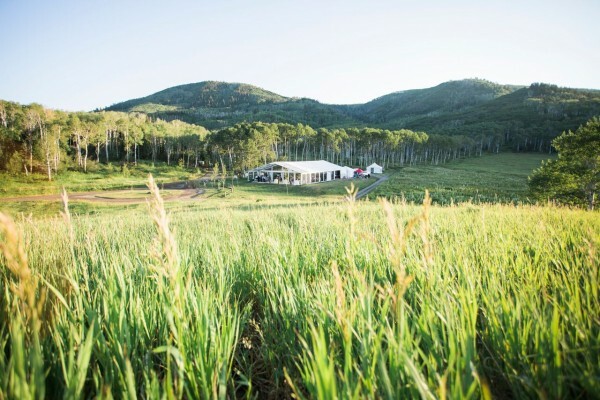 Flying Diamond Ranch: We aren’t often seen in Steamboat, but when we are, it’s most likely at this amazing wedding venue on the outskirts of Steamboat Springs. 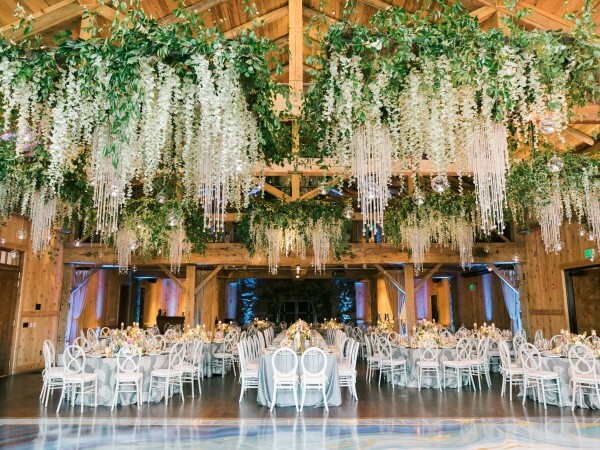 Its Aspen Grove is truly MAGICAL for your ceremony/cocktail hour, and it has a permanent clear tent that is meticulously taken care of. The pictures that come from weddings here are breathtaking! The Peak’s Resort and Spa Telluride: Oh Telluride, how you have our hearts! 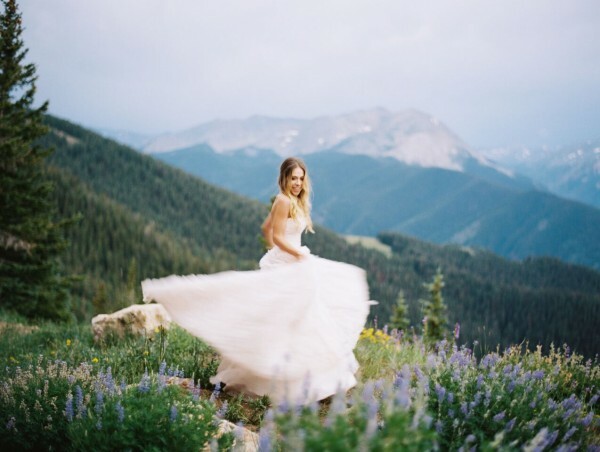 We recently were added to the Peak’s Resort vendor list after bringing them two weddings, and now we have many Telluride weddings next year! Bring us all of the Telluride Weddings! We are in LOVE with this charming town (or should we say two towns?). The layout of Telluride is a bit confusing to newcomers, but once you visit you will fall in love. The San Sophia views really can’t be beat! The best wedding deck views in Colorado in our opinion. Not to mention the Peaks Resort and Spa has a gorgeous outdoor deck and reception space (with lots and lots of windows!). Dunton Hot Springs: Small wedding guest count with a large budget? Dunton Hot Springs is probably a great option to consider! Its intimate and secluded location can accommodate up to 40 guests, and it’s atmosphere is truly magical! 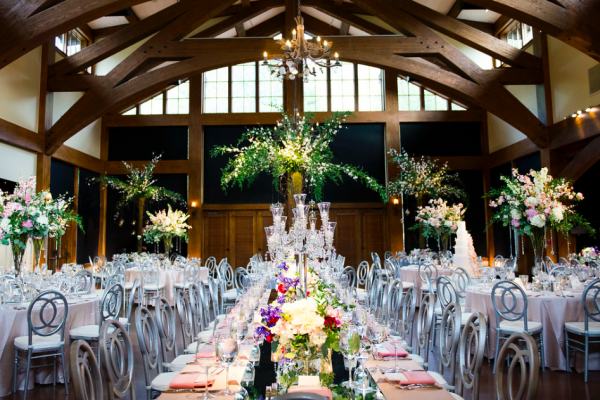 Donovan Pavilion: A very popular Vail wedding location, but still one of our favorites! The stunning indoor space with vast ceilings and windows sells this space. You can bring in any of your own vendors and alcohol which gives everyone a lot of flexibility. Moss Denver: For the boho/urban client! Exposed brick walls, a moss bar and wall, crystal chandeliers, Edison bulbs, and concrete floors! This is one of our favorite venues in Denver because of how fun it is to design for! Blanc Denver: Taking blank slate to a new level! Blanc has simple white walls that can be transformed into any atmosphere you desire, and clients love the outdoor ceremony/cocktail hour space! Aspen Meadows Resort: Talk about a hidden gem in Aspen! This gorgeous resort is tucked away between mountains in a more remote area of Aspen.